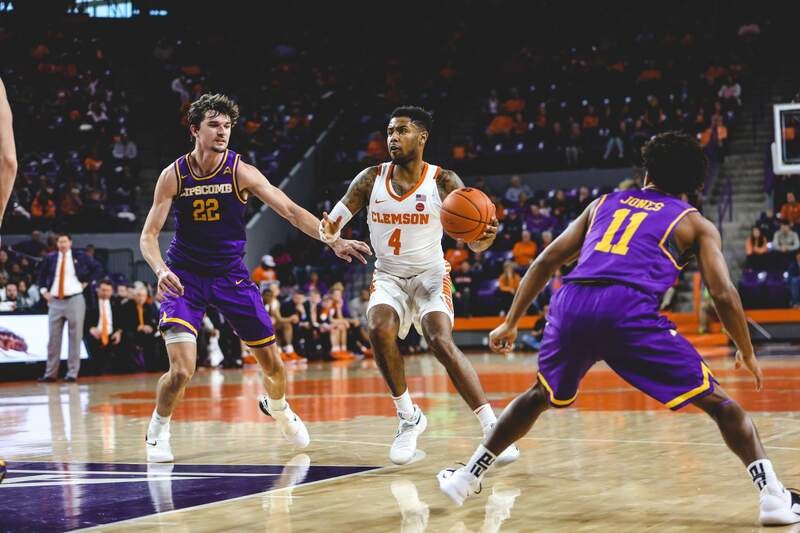 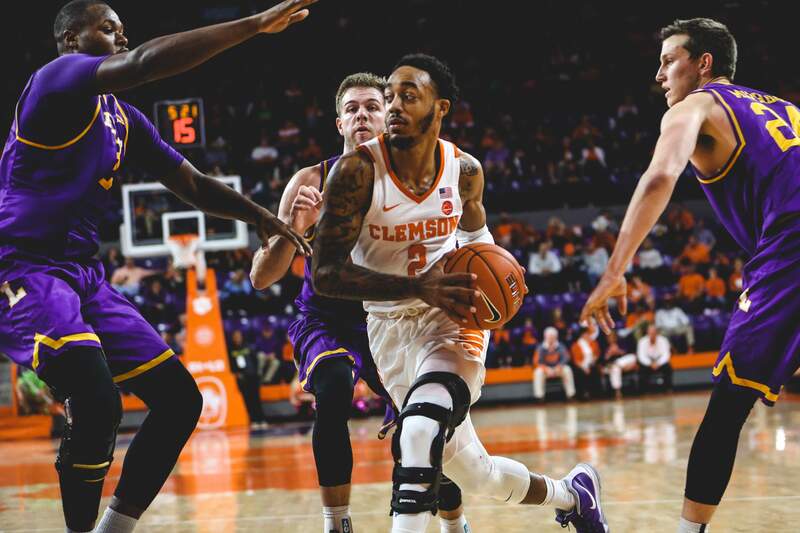 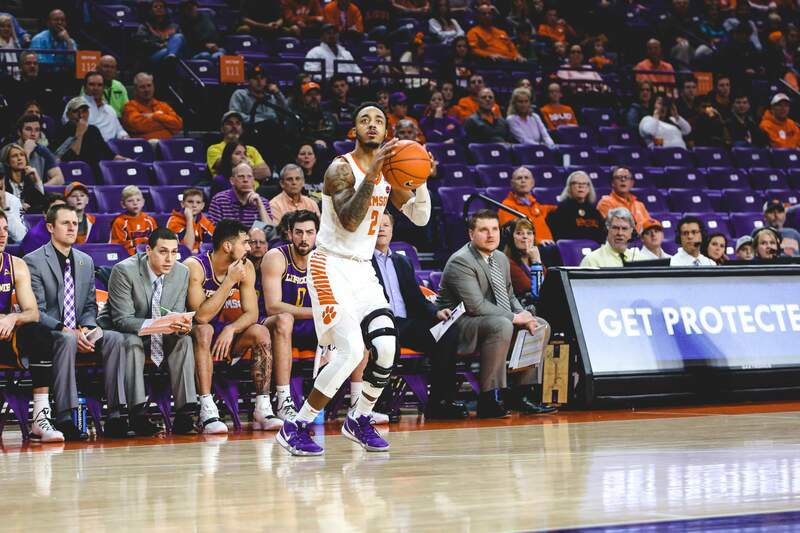 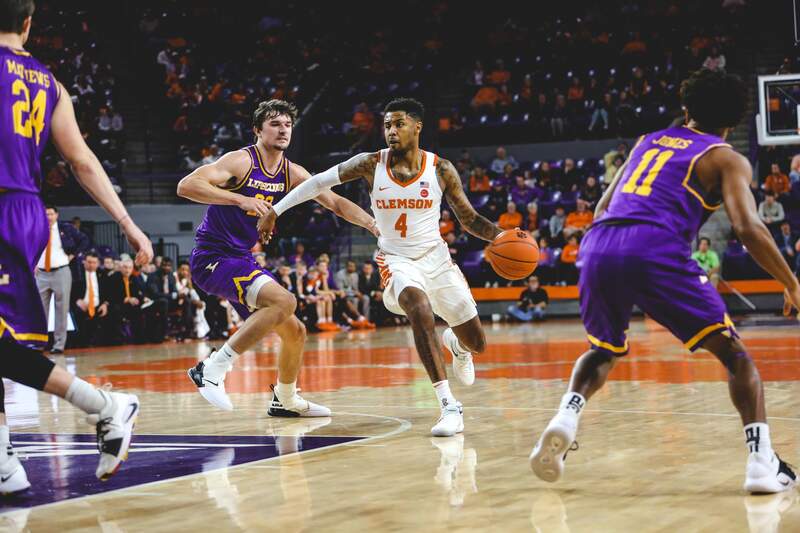 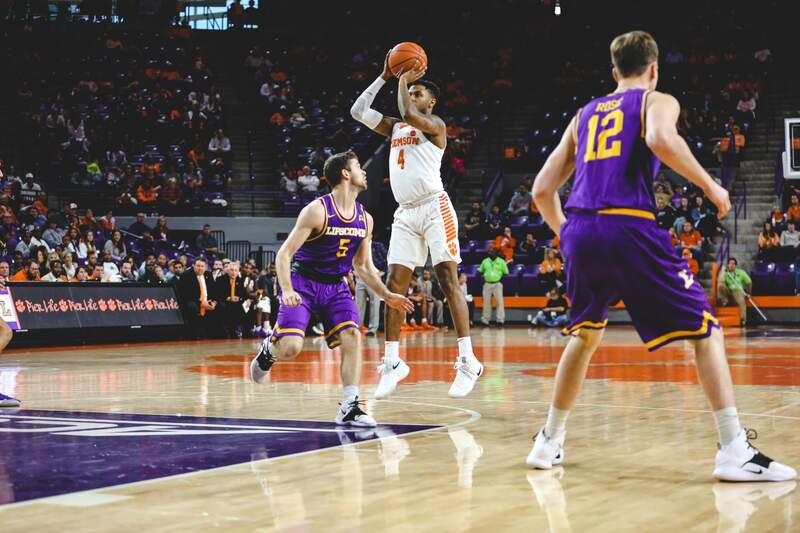 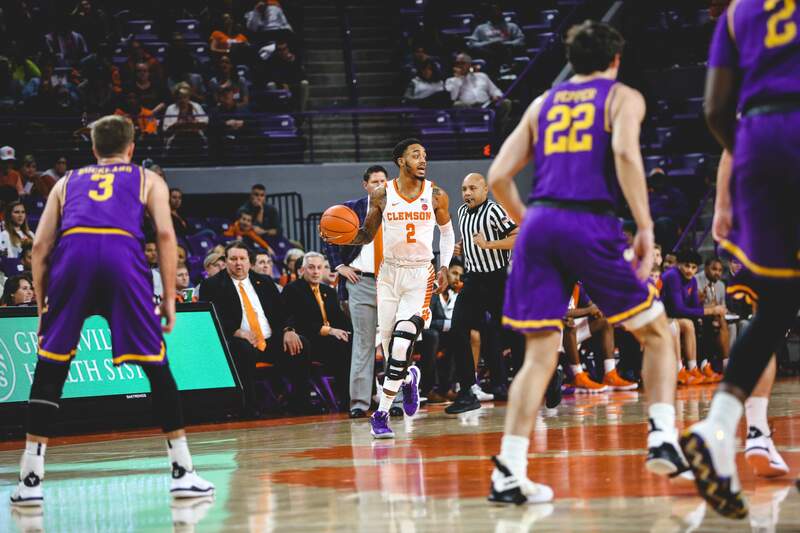 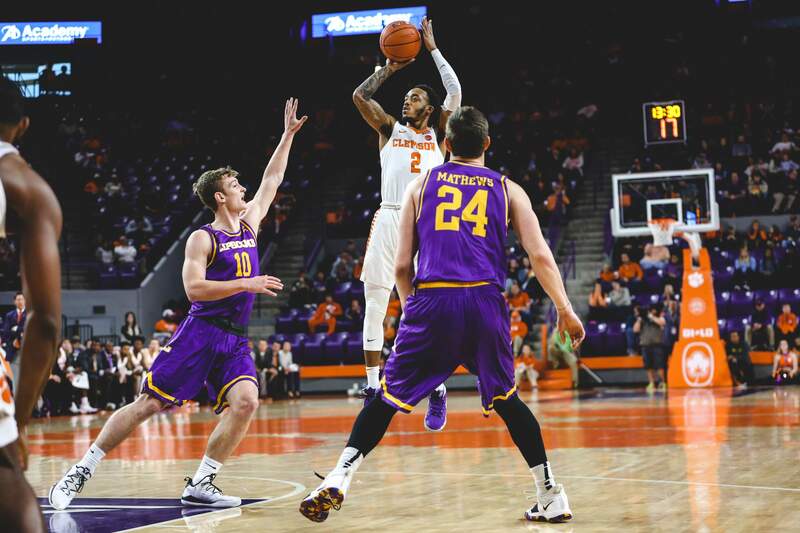 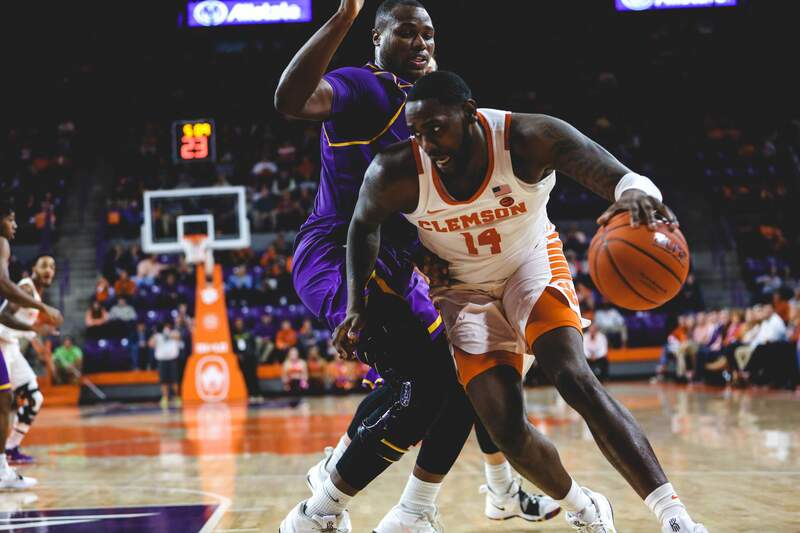 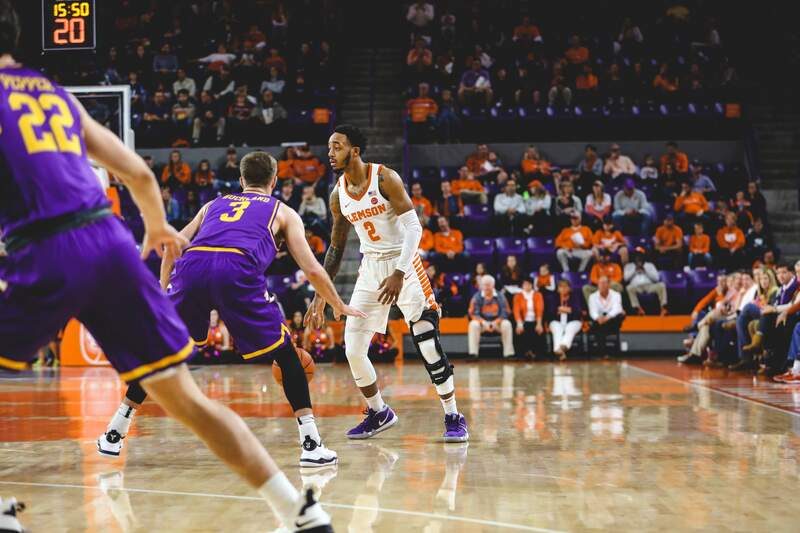 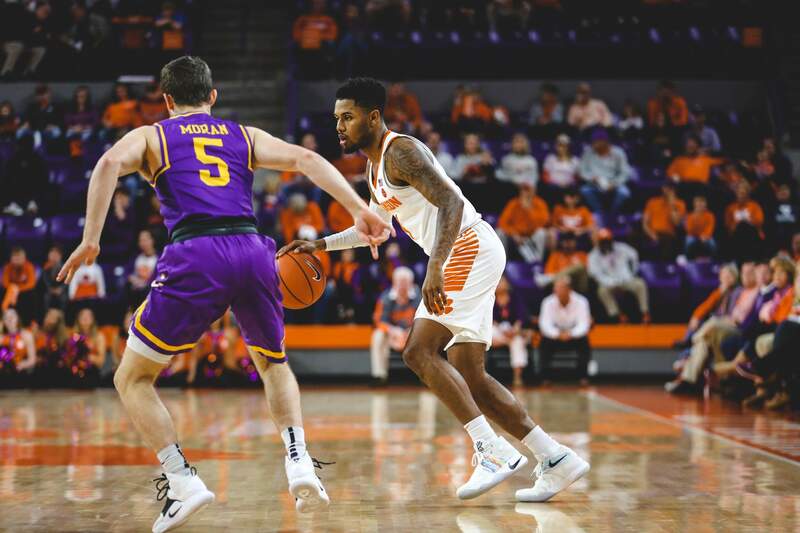 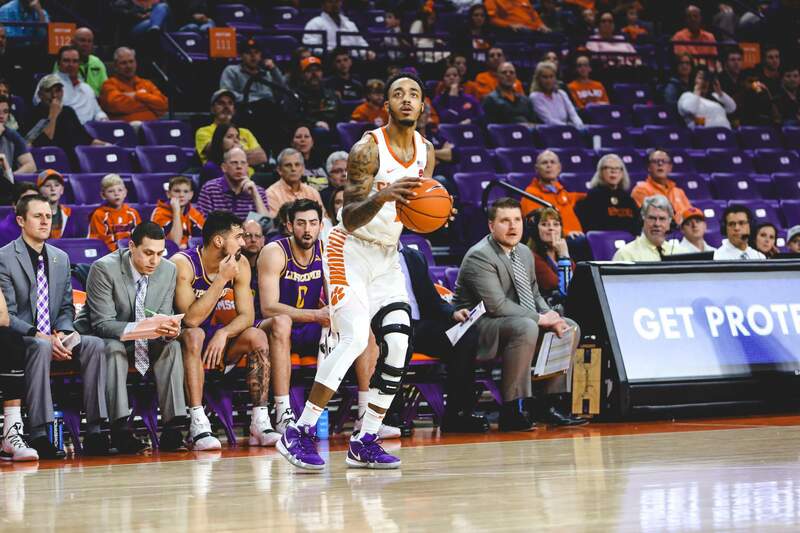 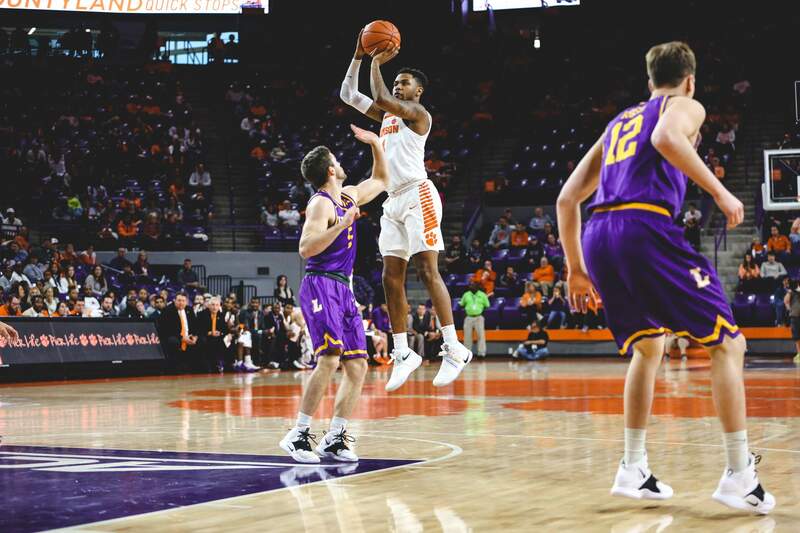 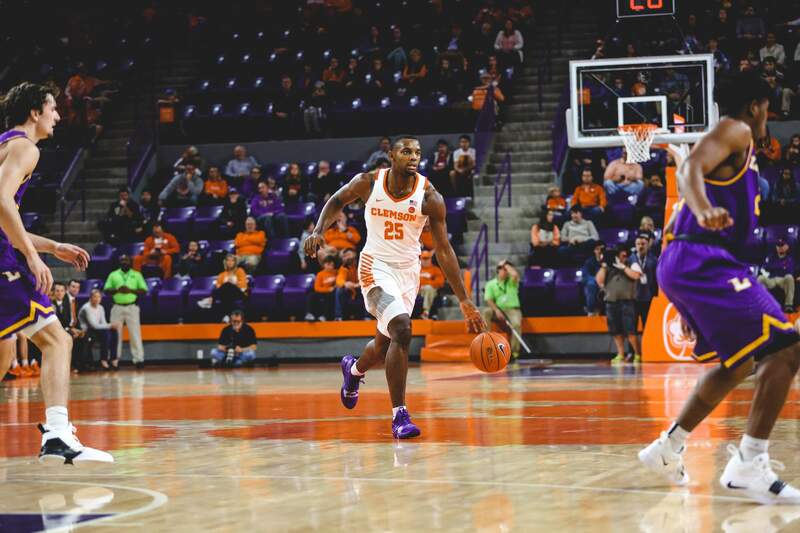 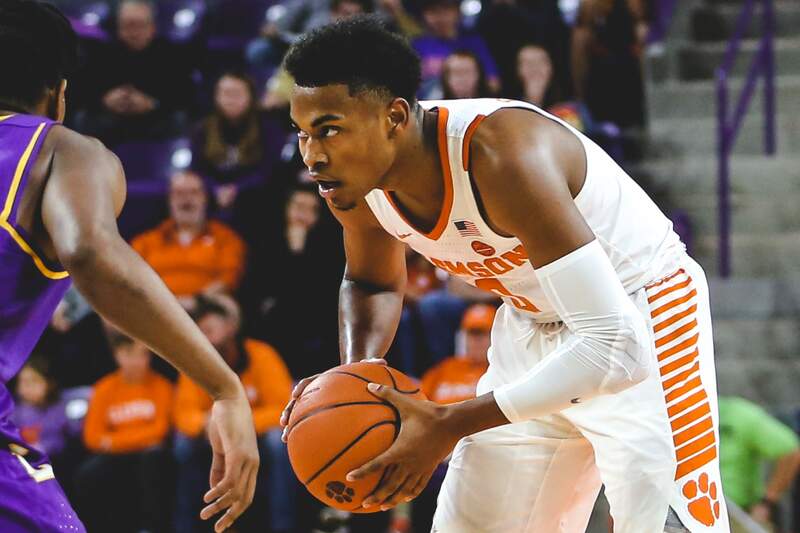 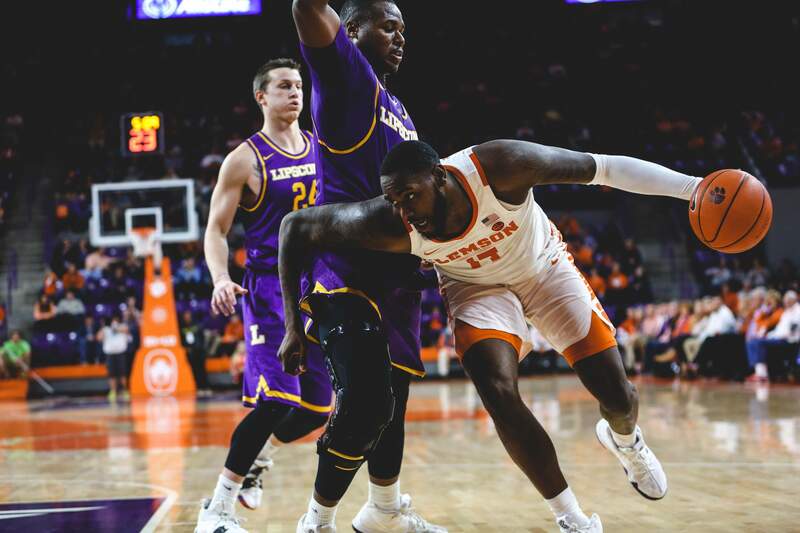 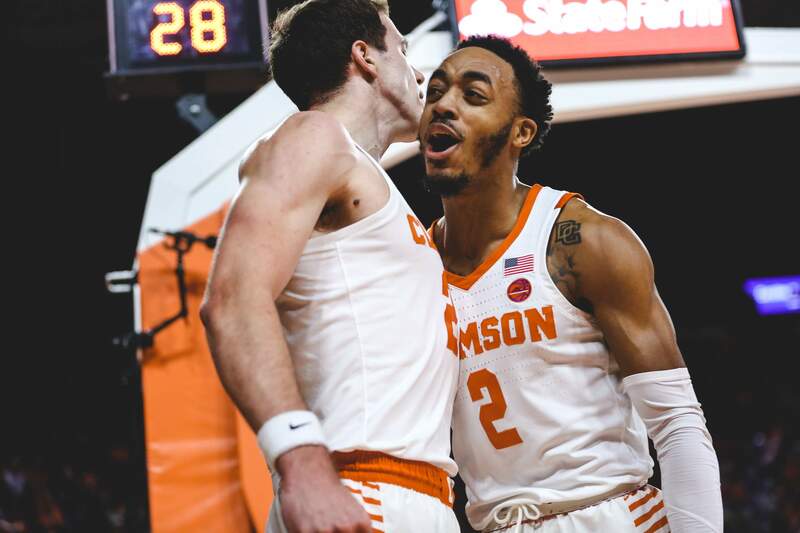 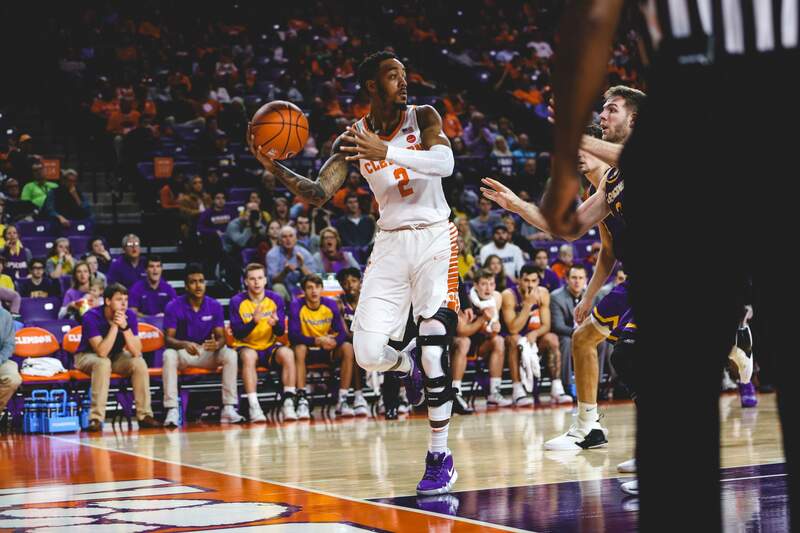 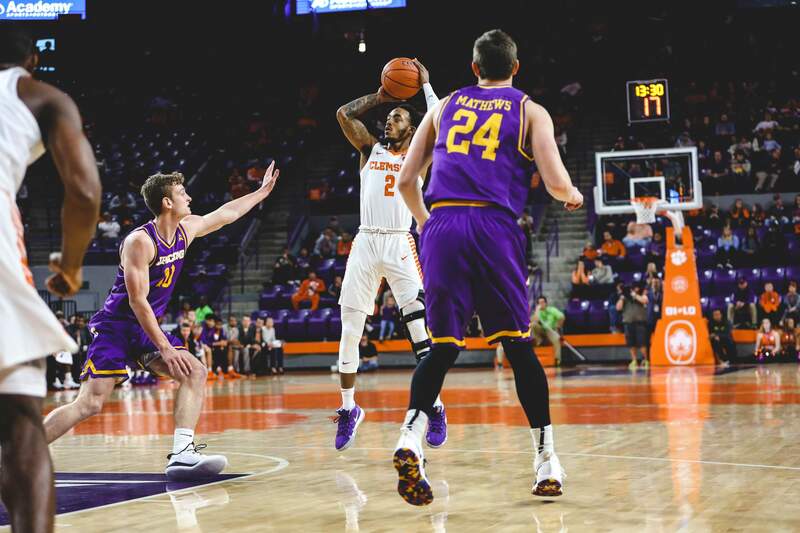 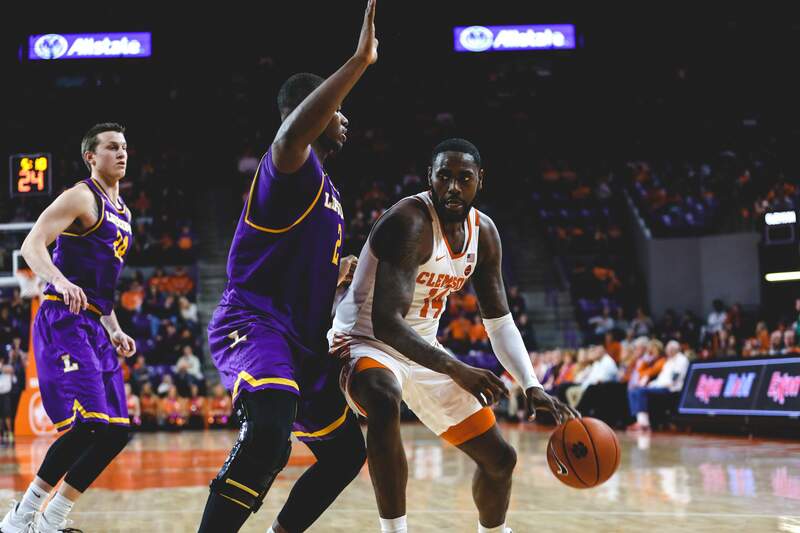 CLEMSON, S.C. — Marcquise Reed posted 26 points, six rebounds, five assists and five steals in an ultra-impressive performance to help send Clemson University men’s basketball to a dominating 84-67 victory over Lipscomb on Sunday afternoon. 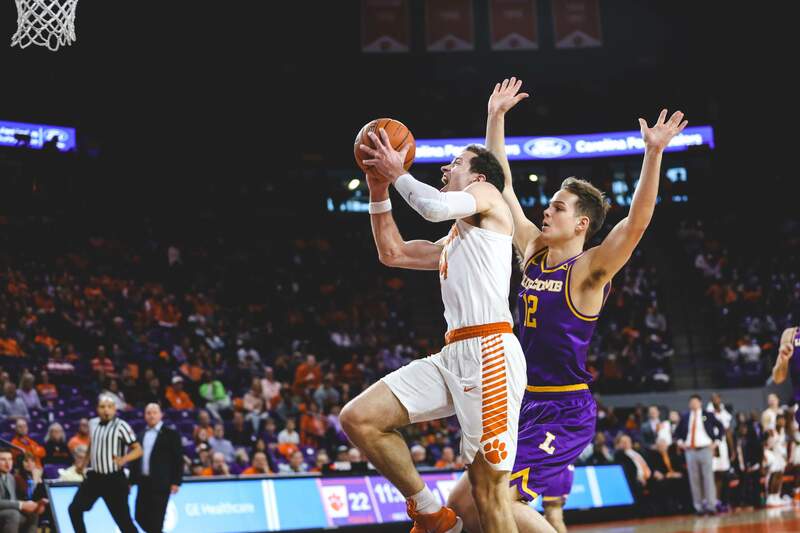 Reed was one of five double-digit scorers for the Tigers (10-3) on the afternoon, aided by David Skara’s career-high-tying 17 points. 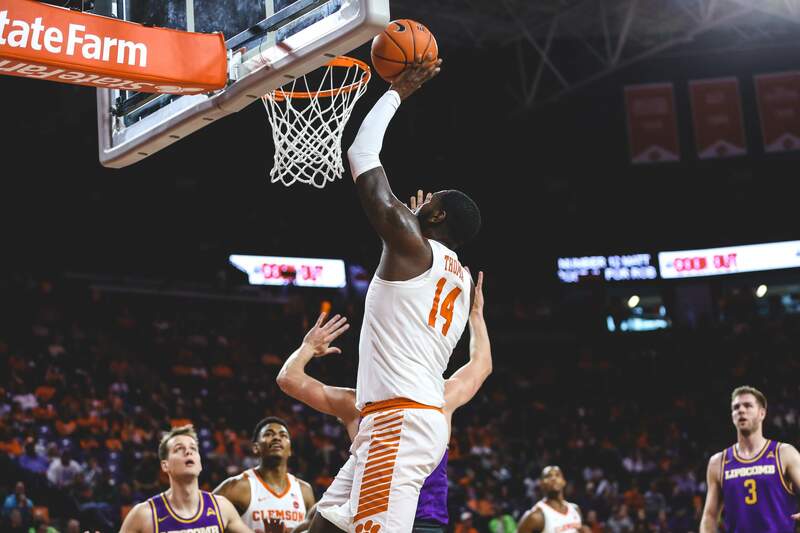 Elijah Thomas posted 12, while Clyde Trapp and Shelton Mitchell scored 11 and 10 points, respectively. 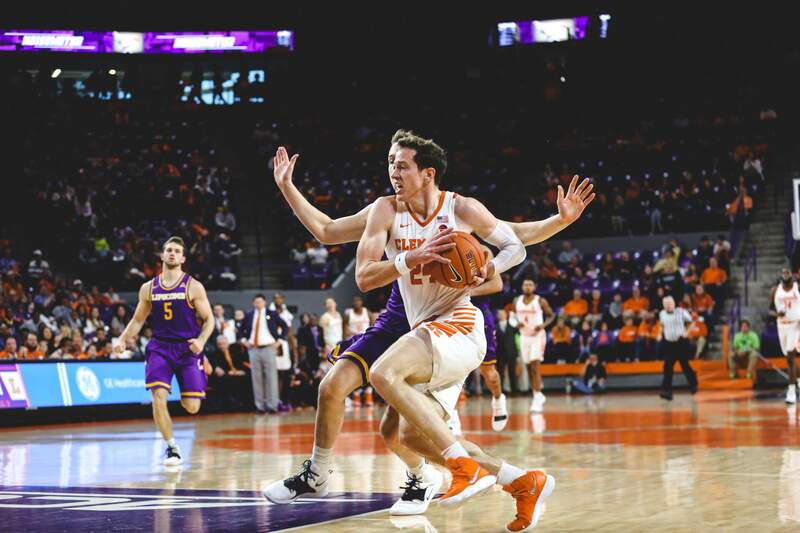 Clemson posted a season-best 15 steals – just one shy of tying for the most under head coach Brad Brownell (16 vs. 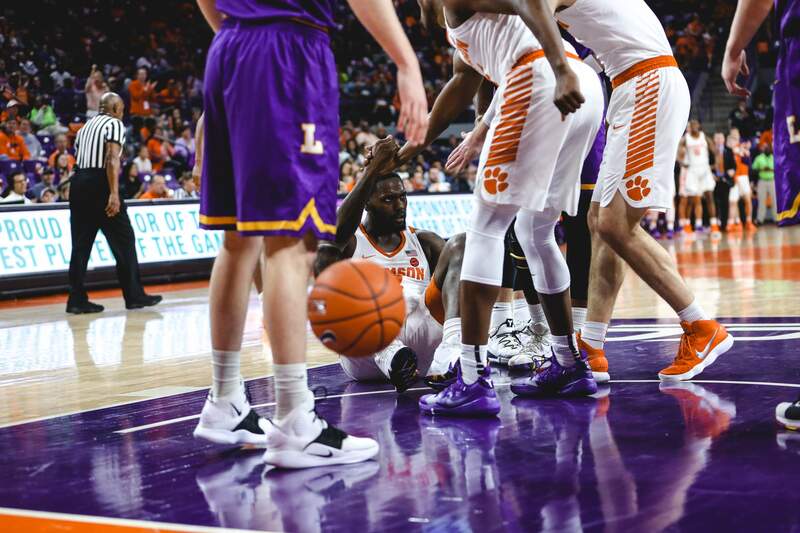 The Citadel, Jan. 1, 2013). 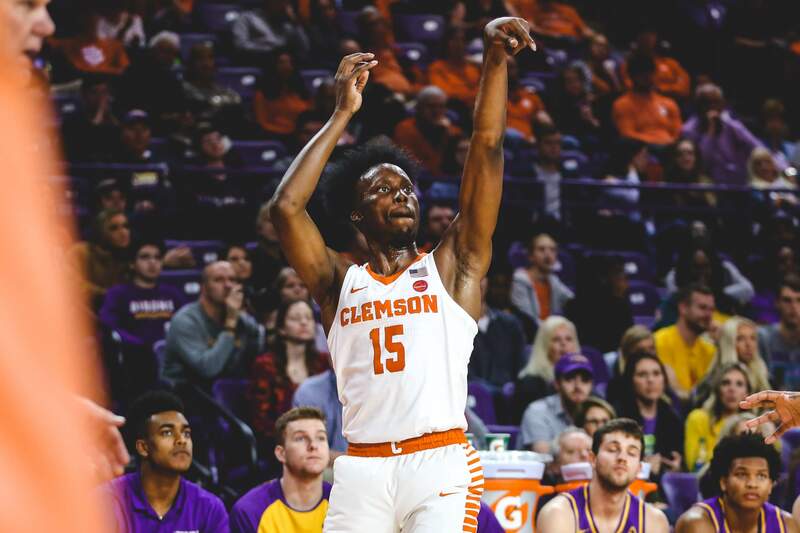 Reed led the way with a season-high and a career-high tying five takeaways. 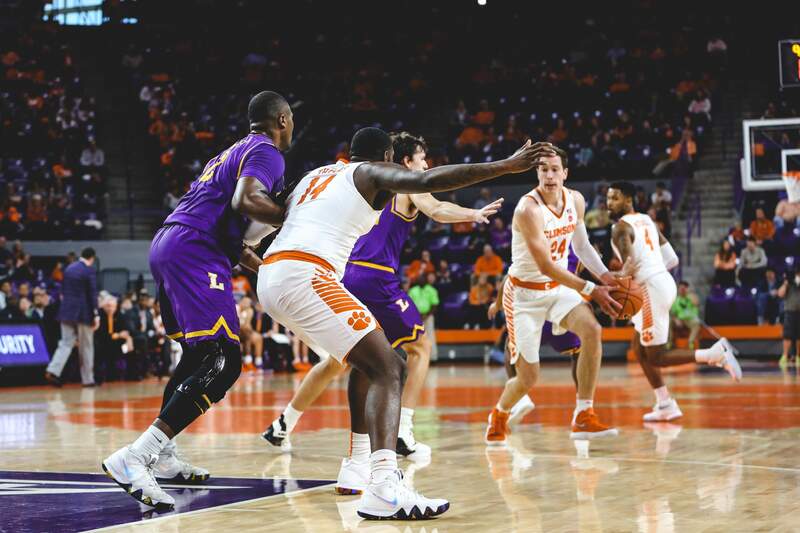 The Tigers raced out to a 15-point lead midway through the opening period and took a 19-point advantage into the locker room. 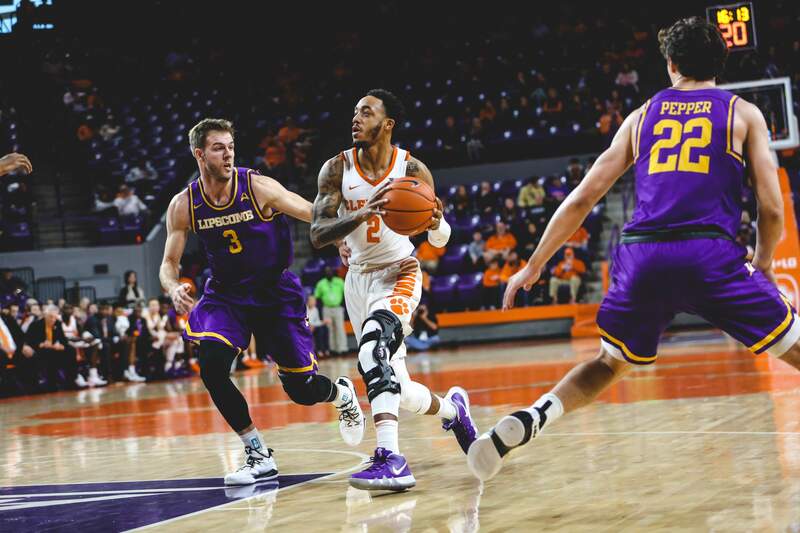 Clemson posted 46 points in the opening stanza – the most Lipscomb has allowed to any opponent all season. 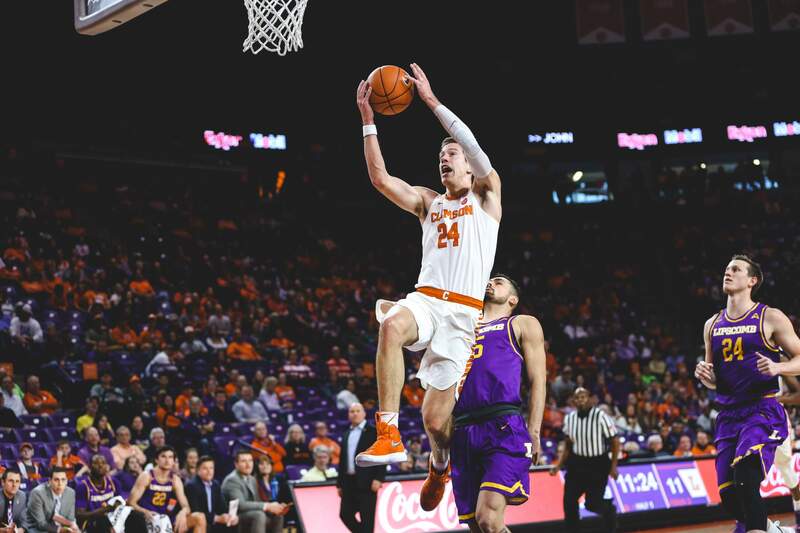 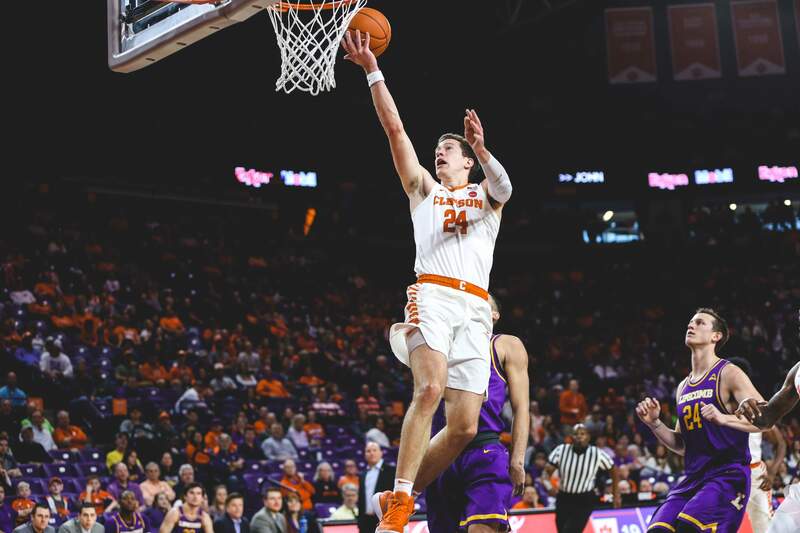 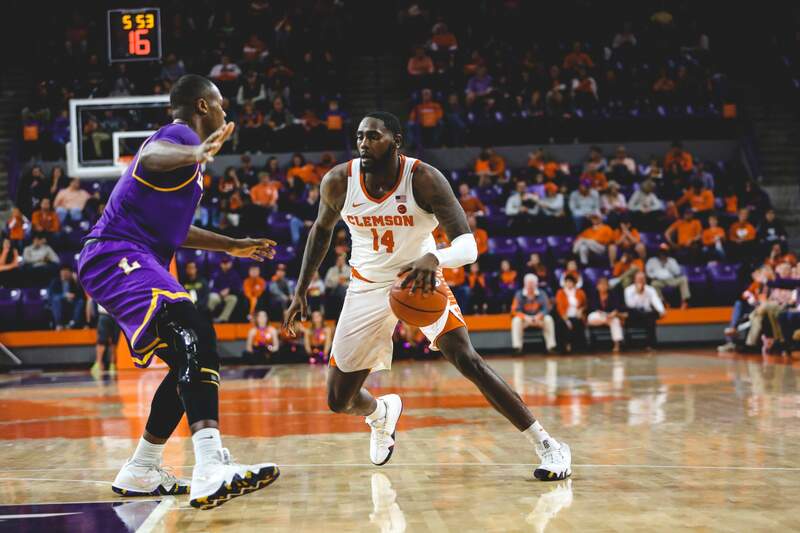 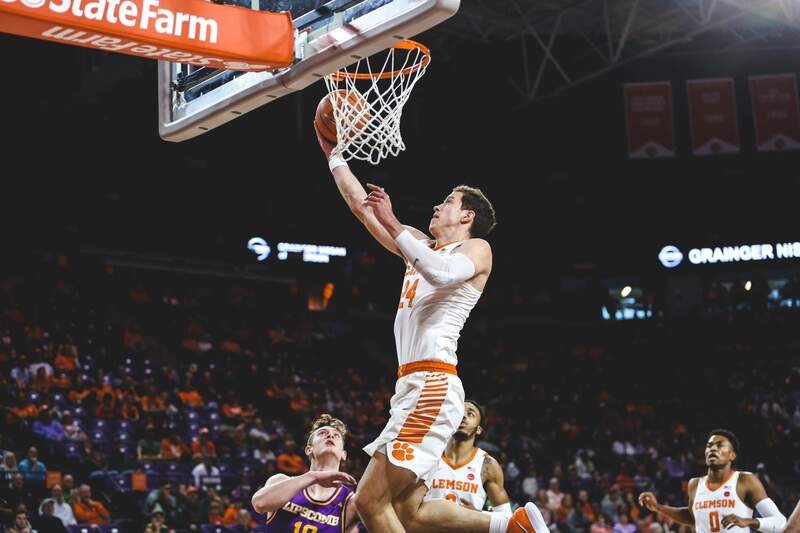 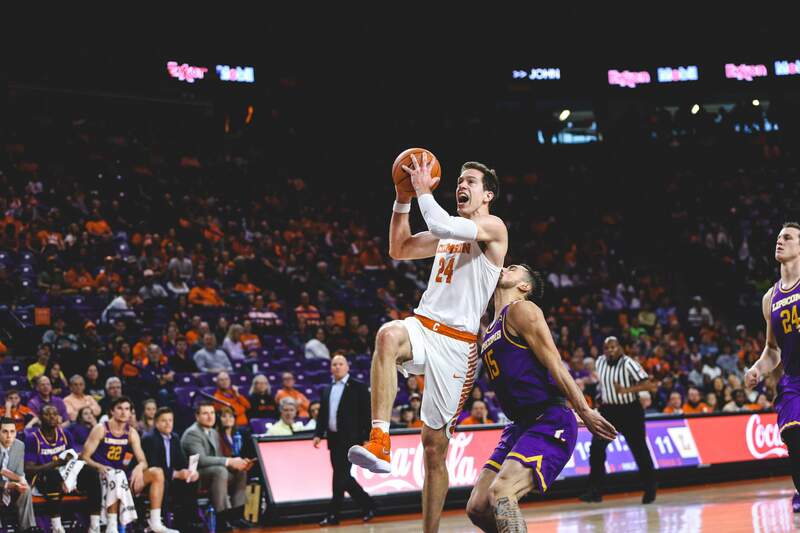 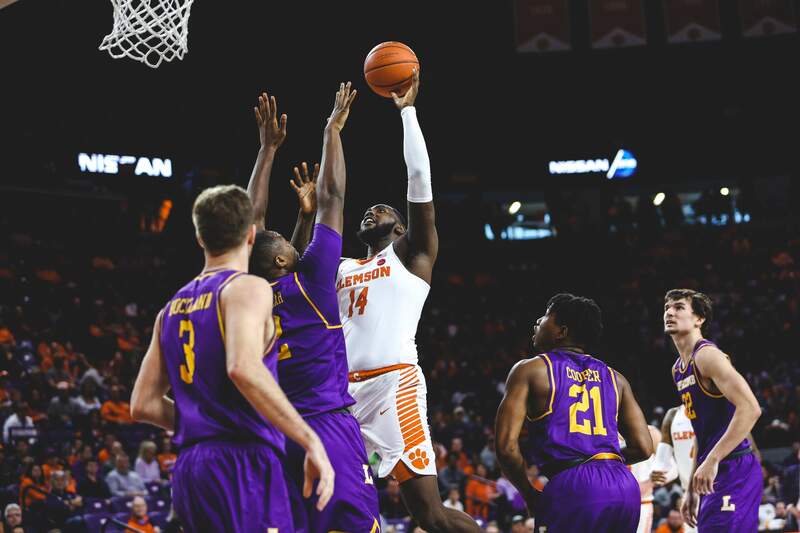 The Bisons (9-4) made a run early in the second half to cut the Tiger lead to just nine points at 52-43 with 12:58 remaining, but Clemson responded with a 10-1 run to push the advantage comfortably in its favor. 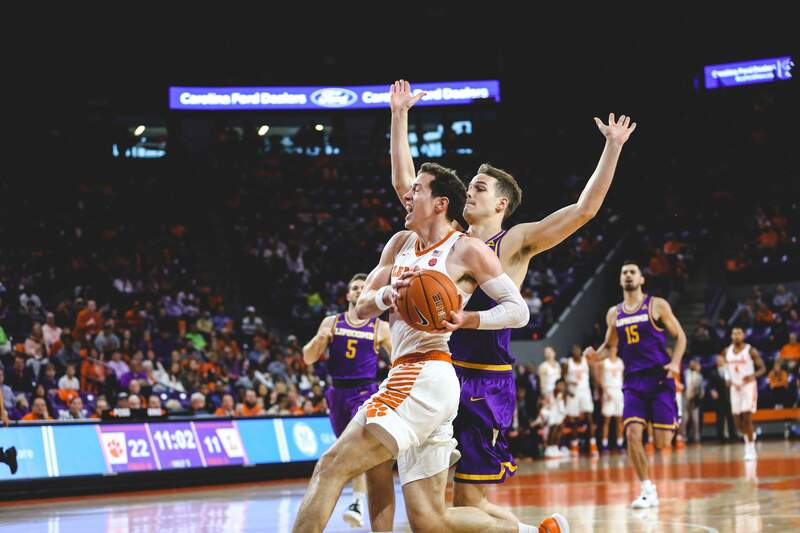 Clemson put the nail in the coffin with a fastbreak scoop and score for Reed who finished the play with a two-handed flush to seal the 17-point victory. 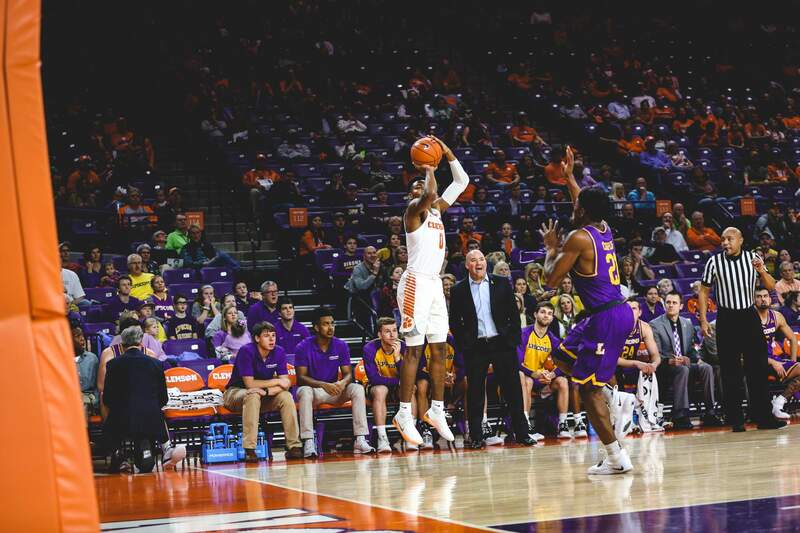 The Tigers finish non-conference play at 10-3 and will begin ACC play on Jan. 5 when it travels to No. 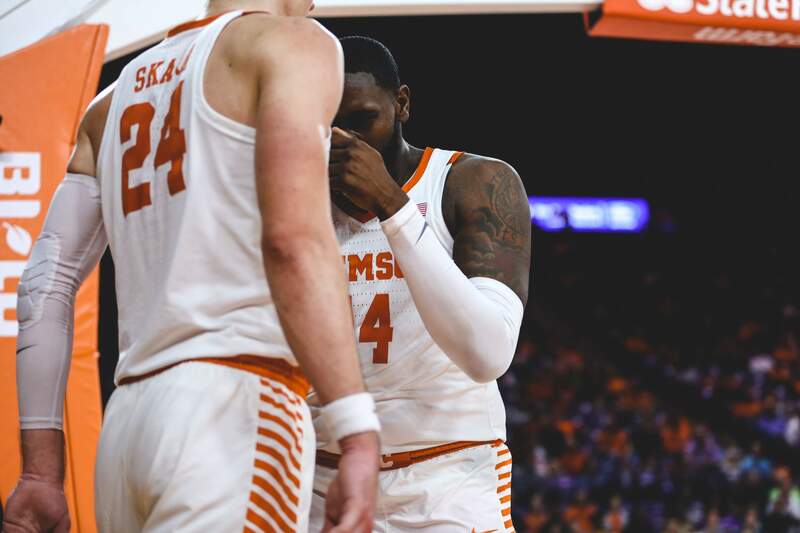 1 ranked Duke. 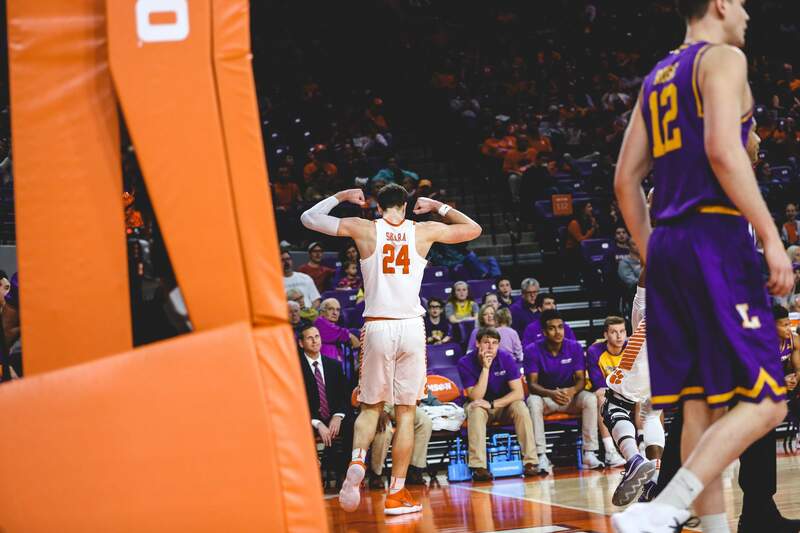 Tip time is still TBA. 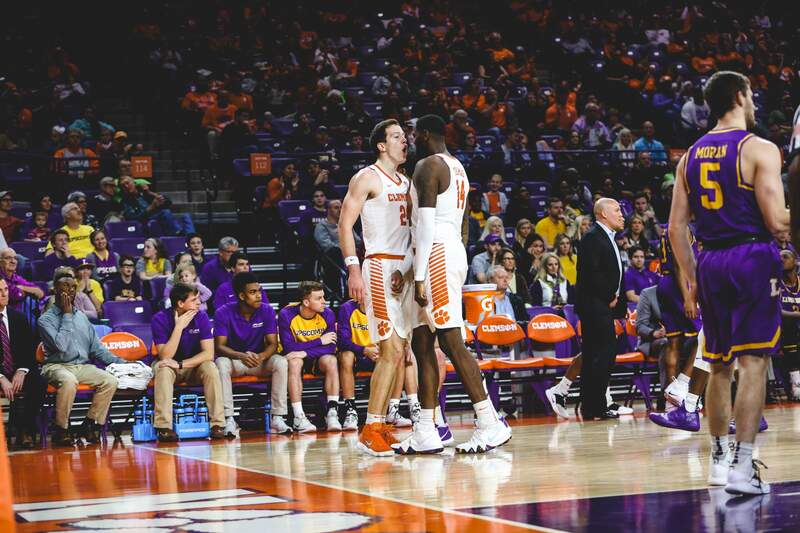 Notes: Clemson won its fourth-straight game to finish the non-conference season at 10-3 … this marks the fourth time under head coach Brad Brownell that the Tigers have finished the non-conference slate with at least 10 victories … the Tigers scored at least 80 points for the third time this season … with 45 first-half points, the most the second-most Lipscomb has allowed in any half all year and the most allowed in a first half … with the victory Brad Brownell won his 159th career game at Clemson and now has 326 career victories … Brownell is 18 victories shy of tying Cliff Ellis for the most all-time in Clemson history and 19 away from passing him … Marcquise Reed posted his second 20-point outing in back-to-back games … he posted 20 points for the 31st time in his career and for the seventh time in 10 games this season … he has posted at least 25 points in a game for the sixth time in his career and third time this season … Reed now has 1,083 points in his Clemson career and now sits 34th on the all-time list – next up is his former teammate Donte Grantham at No. 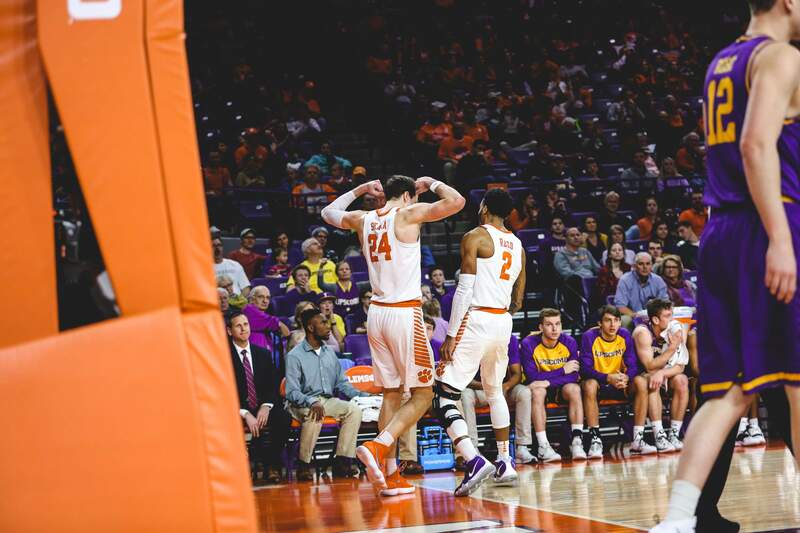 33 who finished his career with exactly 1,100 points … with Reed’s career-high-tying five steals, he moves just 16 shy of cracking the top 10 steals list in Clemson history (Reed has 125) … Bobby Conrad (1976-80) sits at No. 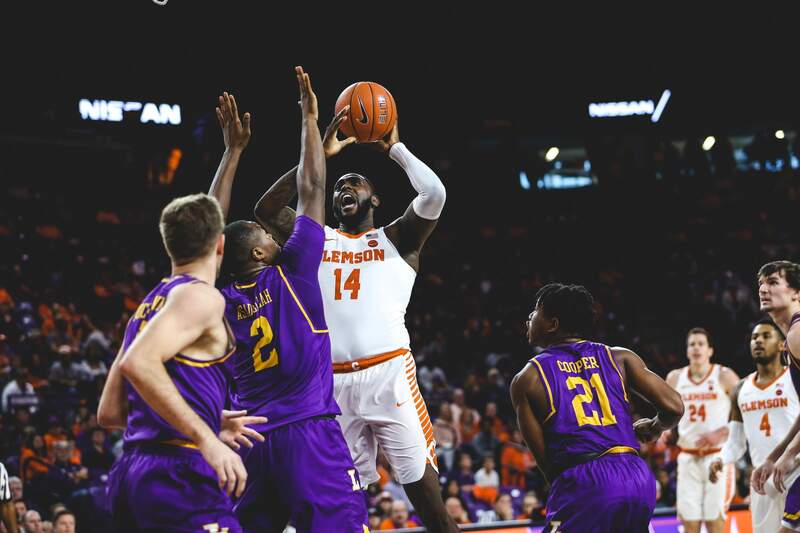 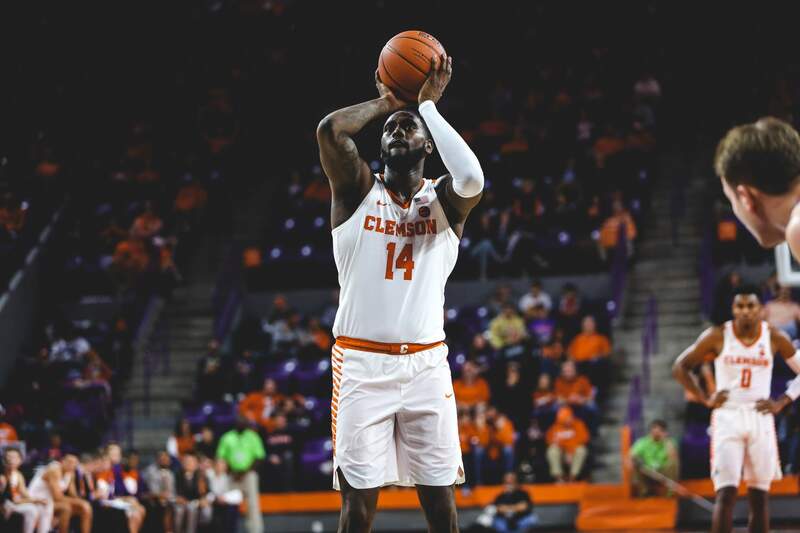 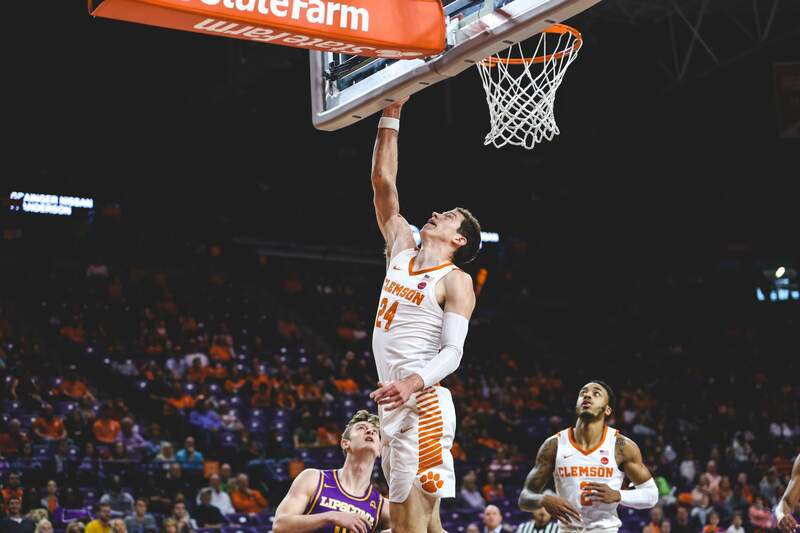 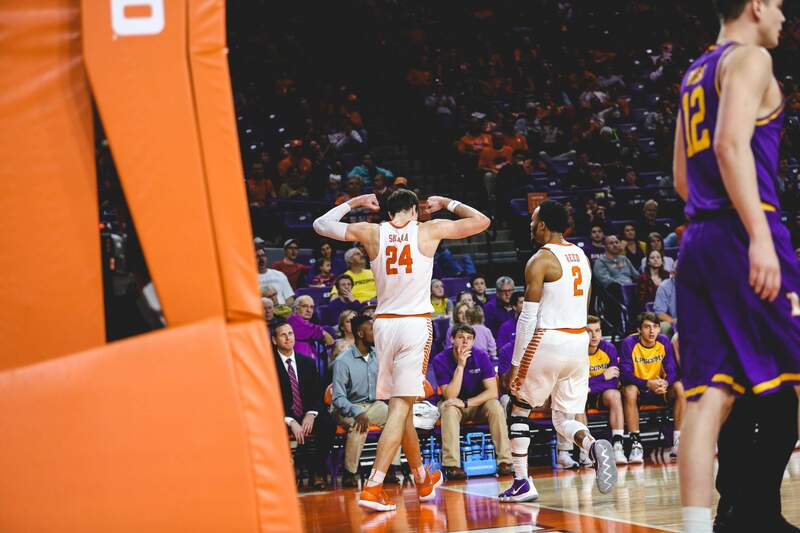 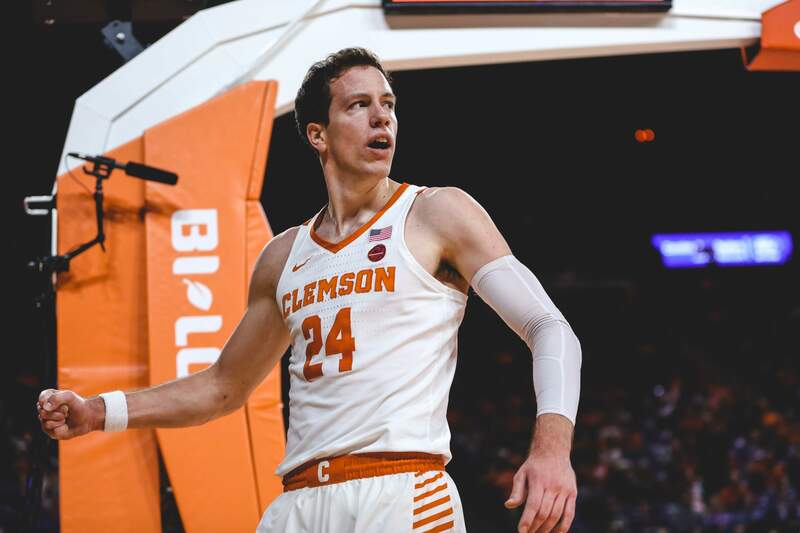 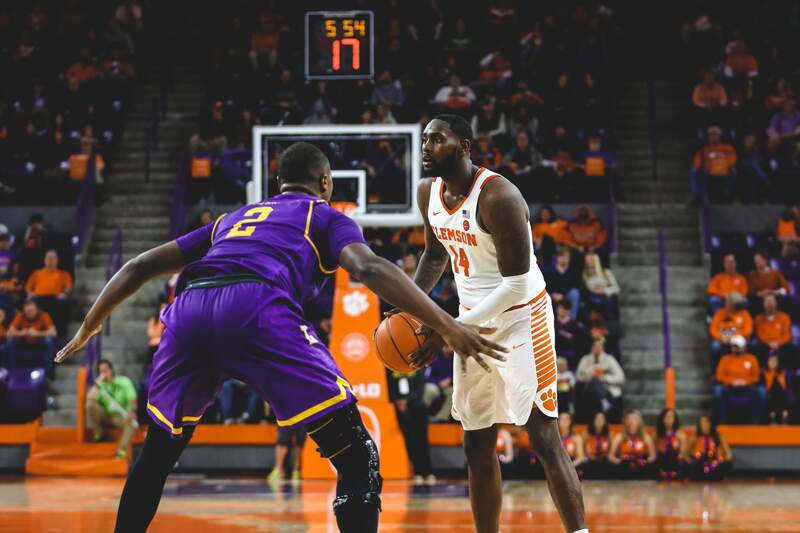 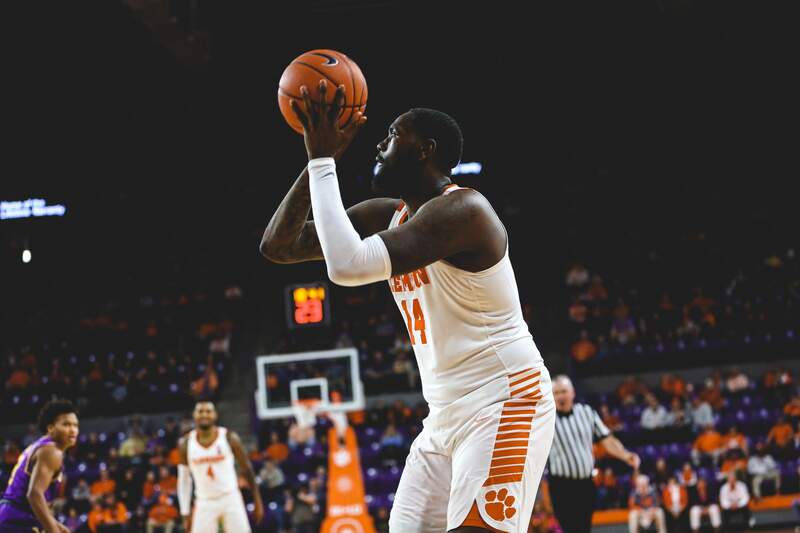 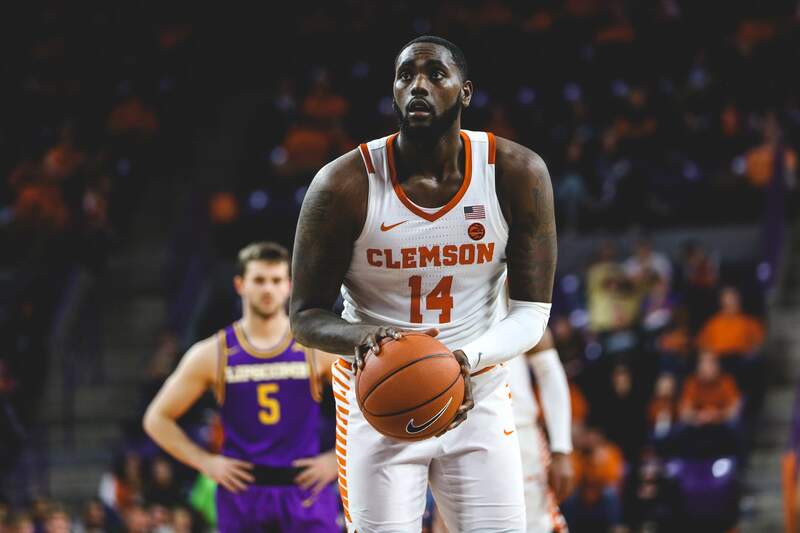 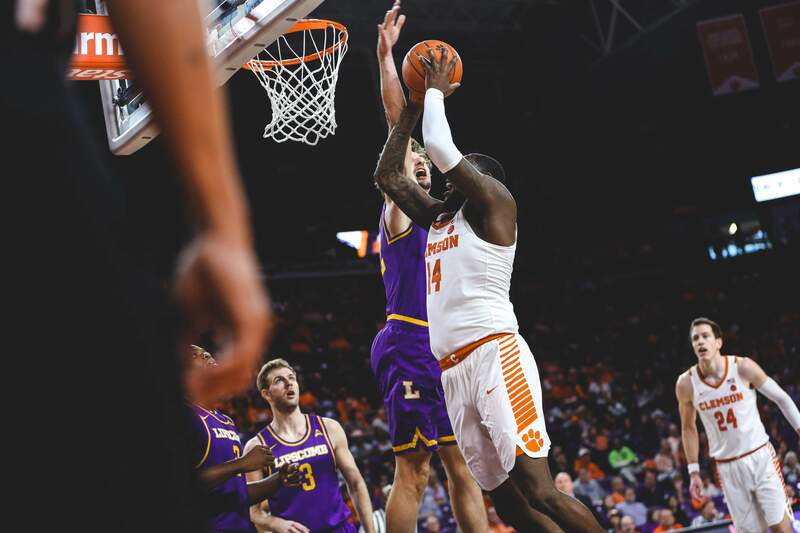 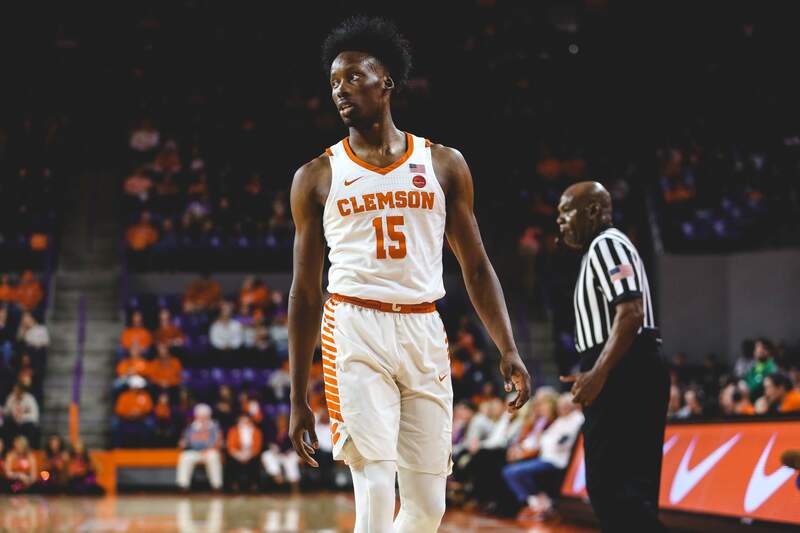 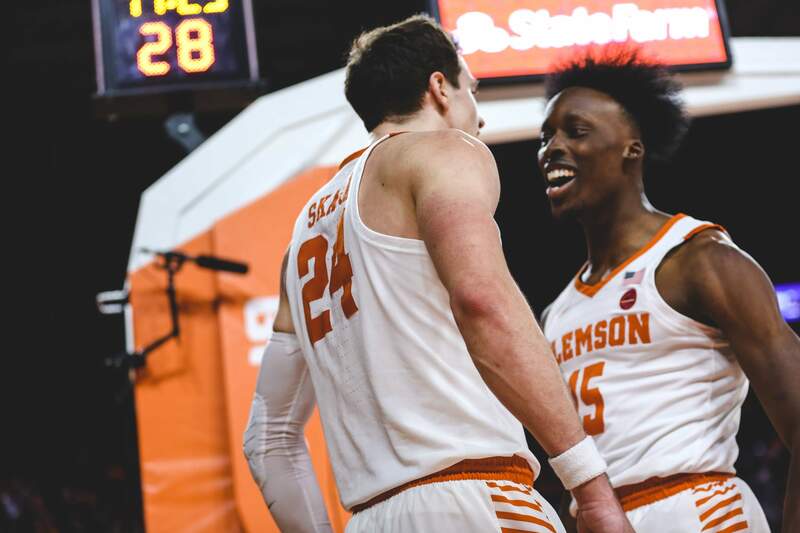 10 and has 141 … Elijah Thomas swatted a season-best four shots and has now moved into the Clemson top 10 for blocked shots in a career (129) … Thomas had 125 entering today and passed John Campbell (1977-80) who had 126 … David Skara posted a career-high-tying 17 points … Skara also tied his career high with three steals … Shelton Mitchell is now just 102 points away from netting 1,000 in his Clemson career (898).